Decorative Life: About 21-28 days. Family relatives include daylily, hyacinth, tulip, aloe, lily-of-the-valley, star lily, desert-candle, and poker-plant (torch-flower). 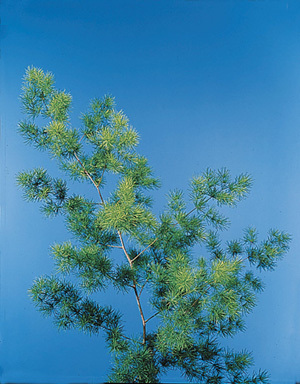 Has tufts of fine, feathery foliage along stems. Fujino et al. (1981) showed that vaselife was increased from about 10 to 26 days in water simply by recutting the stems.